The band was nice today, so here a little preview, for people who don’t have the hardware yet. This entry was posted in Uncategorized on February 12, 2019 by m0nka. 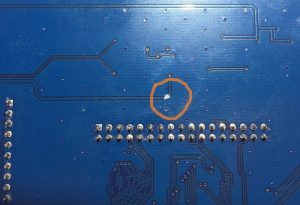 The supplied image for latest 0.6.x sub-revision will usually give error and long boot delay due to removed MCP9801 chip from the RF board. If that is annoying to you as me, please flash the supplied modded image. I have also included IDA disassembly and i assume is possible to do simple binary search in future revisions and modify. This entry was posted in Uncategorized on December 29, 2018 by m0nka. May we wish you a very Merry Christmas and happy festive season! This entry was posted in Uncategorized on December 24, 2018 by m0nka. I am sorry for the bad quality, not easy to shoot the glossy screen, plus i only have my phone. But at least the band was open tonight! This entry was posted in Uncategorized on August 29, 2018 by m0nka. we are now please to offer this configuration. For information on price and shipping please visit our Order page. I would like to advise that shipping may follow up to 3-4 working days after purchase as we don’t stock large quantity of all components. This entry was posted in Uncategorized on July 24, 2018 by m0nka. The mcHF project has been running for almost five years now. Thank you all for your continued support. We are constantly trying to make it more fun and implement the many ideas we have as well as take on board comments from users. Currently we are working on a very exiting revision V 0.8 . Some of you may have seen new image uploaded on our Home page or twitter posts giving a small preview about it. Still to come are many days of active development but once work is complete we hope the wait will have been worth it – upgraded UI board, fully compatible with the Logic, RF board and case. New 5 inch capacitive touch LCD allowing for more user friendly interface. We also are planning to start operating on pre-order basis, the details of which we are still discussing. This will allow us to be faster on implementing bug fixes as well as updates on hardware and a better chance against competition. We have not been very flexible in doing that due to various reasons. We have tried to cater for as many hams as we can. From the types preferring ‘solder all yourself kits’, to partially factory assembled ones. This has resulted in having to carry an excess stock of components, cases and Lcd’s. We hope we’ll have your support in this matter. This entry was posted in Uncategorized on July 11, 2018 by m0nka. This entry was posted in Uncategorized on July 8, 2018 by m0nka. We have added some new files files to the 0.7 package, mainly STL files for 3D printing (knobs, panels, stand). You can download it here. This entry was posted in Uncategorized on July 5, 2018 by m0nka. 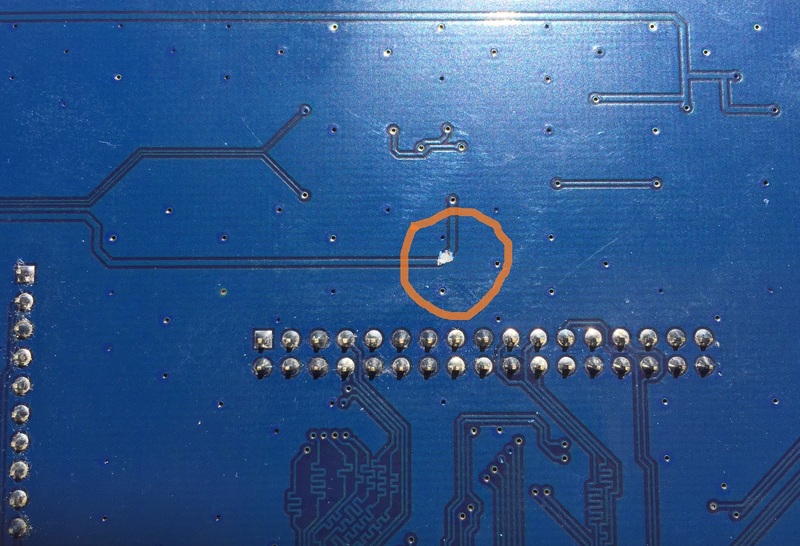 As i have came back to active development (hardware and firmware) i found the need to update the boards with debug connectors. My obvious choice is the 6 pin Nucleo connector. The ST serial interface allows for fast programing from any IDE and real time debug (with 2 Mhz instead of printf via slow UART port). Right now there are two debug ports, on the Logic and UI boards, so this panel reflects the position of those. If you have a printer, you can make one yourself as temporary solution, while debugging and keep your original aluminium panel intact. This entry was posted in Uncategorized on July 2, 2018 by m0nka.